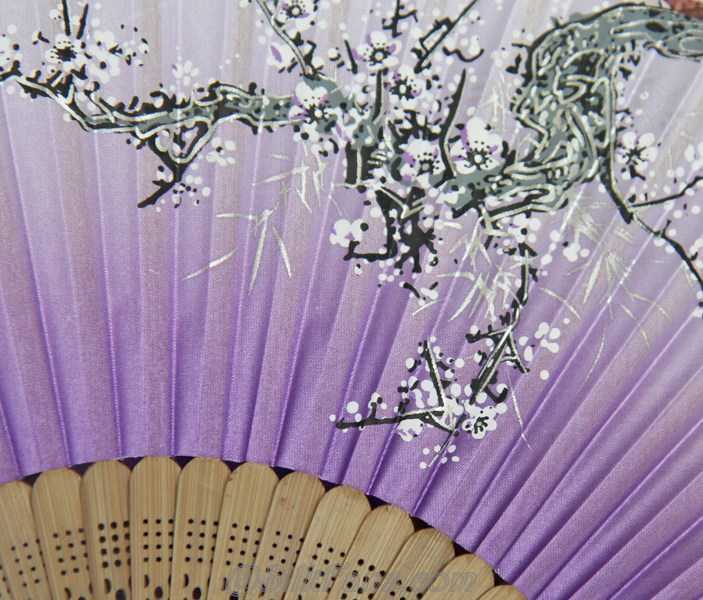 Hand painted white and silver blossoms on purple silk. 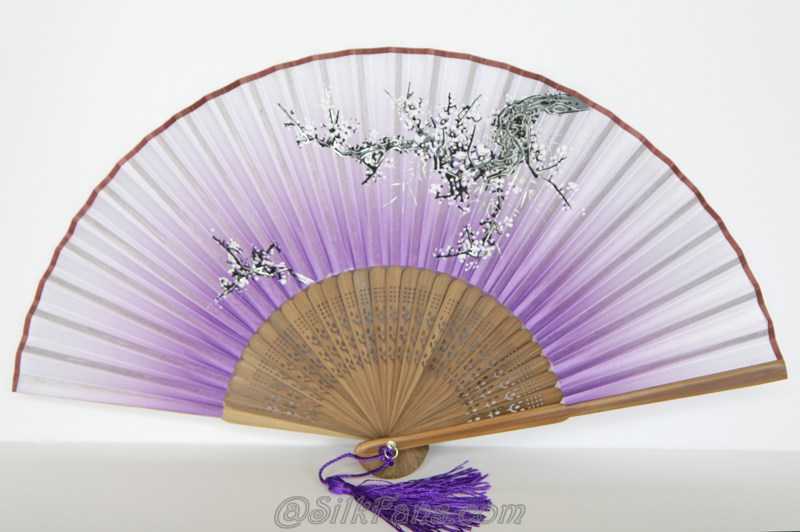 Beautiful fan made with high quality material. Great for faning, party favor, props and dancing. 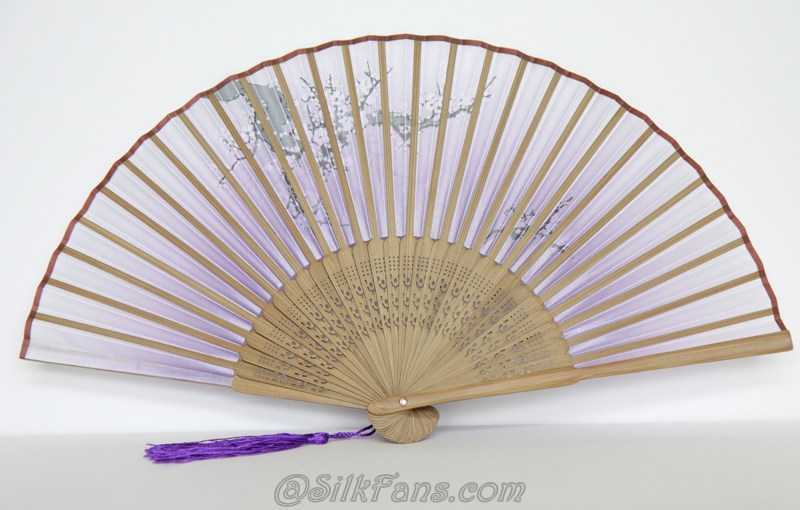 Size: 8.5" high x 15" width Color: light gradient purple silk and white blossoms. Handle is natural bamboo color. 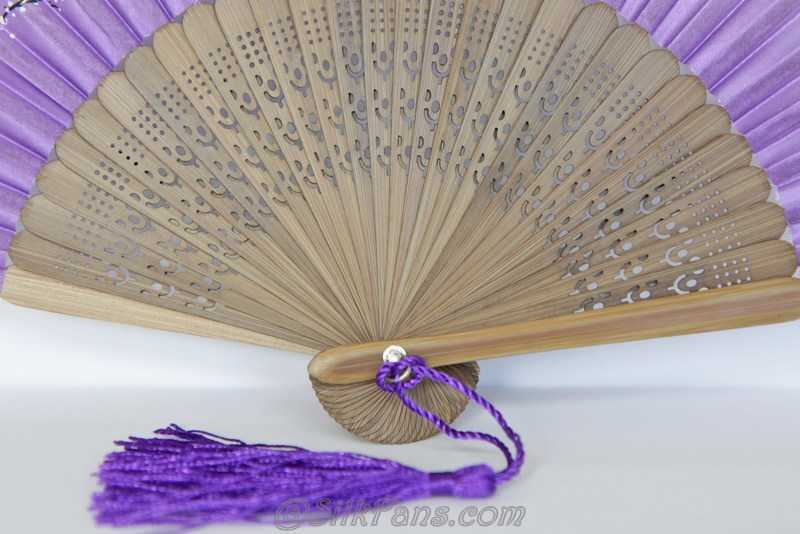 Matching purple silk tassel is included.